Typically when we organize our homes it’s to clear out the things that don’t matter and to make room for the things that do. Sit down for a few minutes and think of what your family needs to make your home work for you. Do you need more storage space and practical storage solutions? 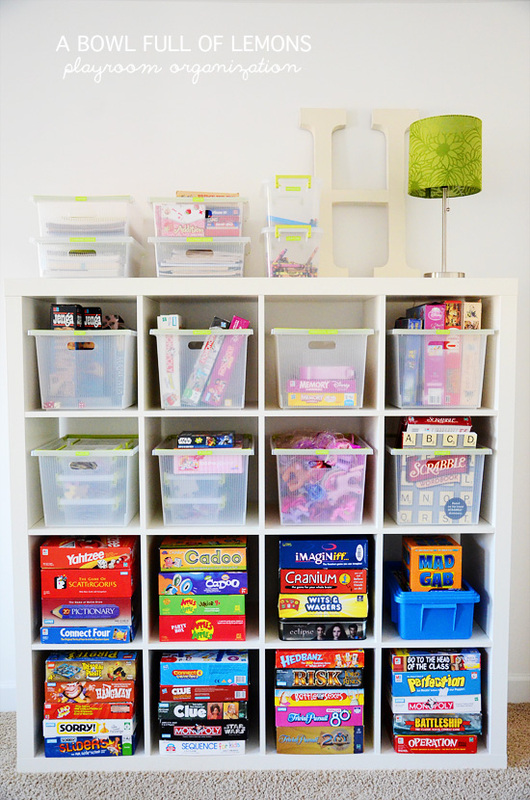 Do you have a ton of clutter & odd toys? Piles of papers that need to be filed and sorted? Starting small makes the likelihood of success much more possible. Instead of investing a week or an entire day to getting your home more organized, set out to do one small task a day. If you’ve already fallen off of the “New Year, New You train” use this list to get back on track. In just 30 days, you’ll have a noticeably less cluttered house, and maybe you’ll even find a few things you thought you’d lost forever. There is no better way to kill your motivation than by overwhelming yourself. Just like me you probably want your entire house to be organized and spotless today but start with one drawer or one cupboard and commit to keeping it clean. If you have organized it well, it should be quite easy to maintain. Put it into perspective: how many tasks or projects have you dove head first in and ended up overwhelmed and throwing in the towel? Breaking down a massive job into smaller more manageable steps can make a task like de-cluttering your entire home much more manageable. Gather up all of those coupons and store credits you’ve been meaning to use. Keep them in a clear pouch in your car because you’re more likely to use them if they are easily accessible and not forgotten at home. Utilize ALL of your kitchen cabinet space. Use the doors of your cabinets to store some of the items that tend to jam up kitchen space. Pot holders, rags, whisks and measuring cups tend to take up odd space but can easily be hung to free up some drawer space. Hang up some command hooks & get to it! Clear up all of the junk mail, take out menus, catalogs and scattered papers. Hang up a storage rack in one area of your home where you can store all of these items so they aren’t cluttering counter space. Make it a habit to go thru and sort them once or twice a month (if you’re really brave, try once a week). Start with one closet or drawer at a time. Organize to your liking and create labels so you are more likely to stick to the system. Test the tools and get rid of duplicates, toss old makeup & lotions, holey towels, expired prescriptions and so on. Move rarely used items (turkey baster anyone?) to a higher shelf. Having a designated place for items that are used often makes it much easier to just put them away as opposed to waiting to sort later. Puzzles and board games are bulky and the boxes aren’t exactly appeasing to the eye. After assuring all needed pieces are there (and discarding the rest) store puzzles and board games in clear plastic baggies or plastic tote boxes. Plastic containers are easier to stack and store then awkward boxes in different shapes and sizes. Assure that you keep instructions and an image of the puzzle for reference. Make your furniture work harder! What issues are there in your home? A ton of books? Hang shelves on the side of a dresser to store them. Hooks on the side of an island are perfect to hang dish towels and pot holders. Think outside of typical storage solutions to help fit your families needs. 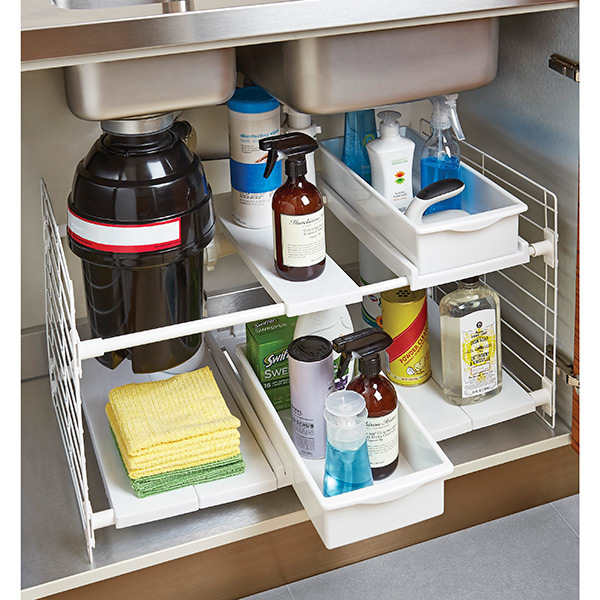 Organize the space under your sink. This space is almost always a jumbled mess because of the awkward pipes . Want an easy fix? Have an under the sink sliding organizer installed. Most can be found for under 40 dollars and are easy to install. Check out this one from the container store. 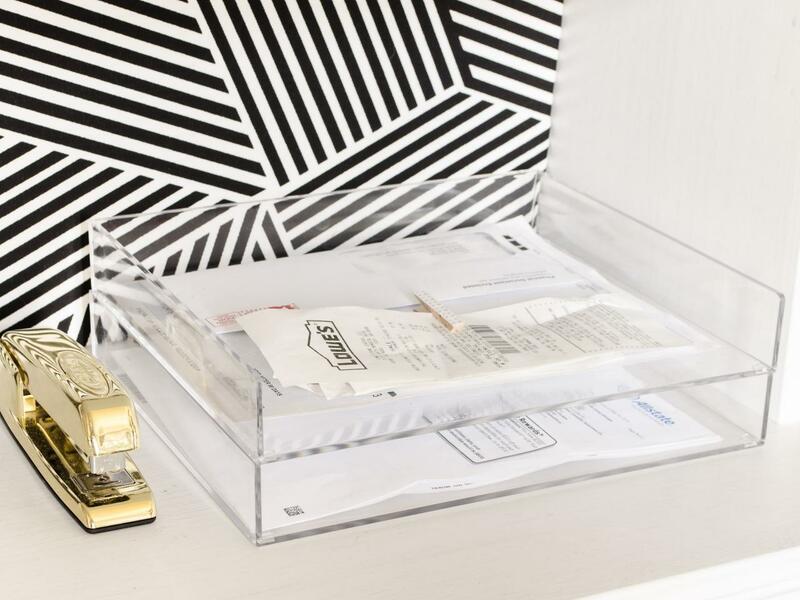 Create an “inbox” in your home office. Seems simple enough right? But going thru papers, junk mail, bills and everything else that come s thru your hands on a daily basis can seem almost too much. Instead put all incoming mail, bills, school papers etc. in this inbox and set a designated time to organize each week. On this day file, toss, pay or shred until all is clear! Get your fridge in check! It’s pretty common to store condiments in the door space in your fridge. However, moving these onto a lazy susan allows them to be easily accessed and found. You can then create a quick service station in the door space filled with snacks and drinks that are easy to grab! While your at it go thru your fridge staples & toss any that aren’t liked or have expired. Create a bin by the front door where book bags, shoes, and hats can be placed. Get in the habit of putting items in there that need to be returned as well: library books, purchases that need to be returned, and borrowed items. This will stand as a visual reminder to take care of those things as opposed to forgetting or putting it off. 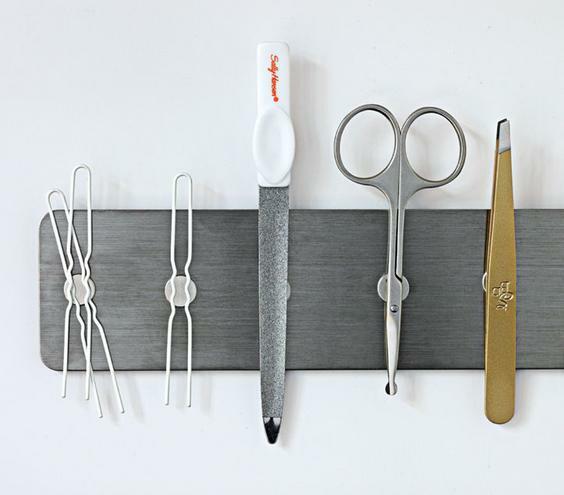 Install a magnetic strip on the inside of your bathroom cabinet door or medicine cabinet where all those little things that we always lose can be placed. These strips are cheap and can also clear up drawer space! Streamline your wallet and purse: Download the card star app (cardstar.com) and take a picture of your store rewards cards. When at the store the bar code can be scanned so that you don’t need the physical copy. This can clear up a huge space in your wallet. In addition to this stash a plastic baggy in your purse. When you have some extra time (at the dentist, long phone call, stuck in line) use the bag as a means to go thru your purse. Stow items that need to be removed and put away and all trash that needs to be thrown out. It may sound silly but file your cookware! Picking up and installing a pan organizer can be life changing! 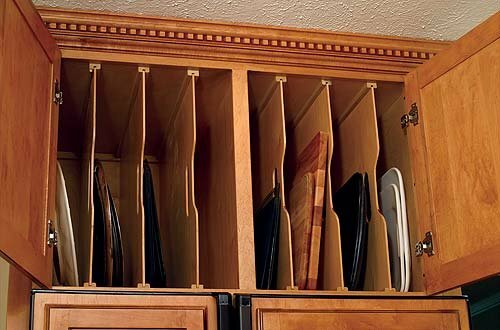 Use this to store cutting boards, pan lids and cookie sheets instead of shoving them in cabinets or wherever they will fit. There are many options from permanent solutions to temporary ones that can just sit inside of your cabinet. Invest in a shower caddy to keep everything organized and in one spot. Go thru and get rid of empty bottles as well. Clear off your nightstand. The spot next to beds are notorious for collecting books, water bottles and electronics along with gobs of dust. Clear it off, wipe it down and leave only the bare minimum. Dressers can hide a lot in their drawers. Open every drawer, refold messy clothes and match every sock. Start a donate pile of any clothes you no longer need and a toss pile of holey shirts and socks you can part with. Give your pantry an organizational once-over. Organize canned goods by type, check expiration dates and get rid of foods you’ll never eat. Unexpired and shelf stable foods that you no longer need can be donated to your local food pantry. 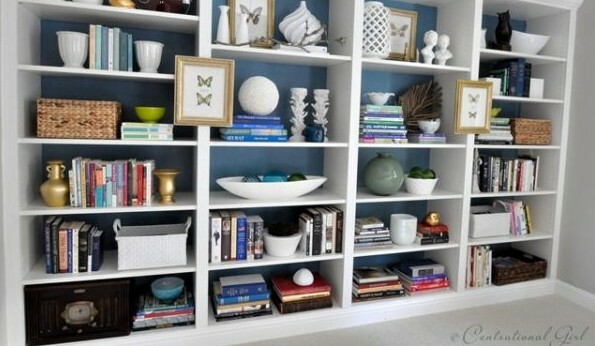 Give your bookshelves a glance to see if there’s anything that doesn’t belong. Then rearrange the items so it looks deliberate, not haphazard. Clear out your filing cabinets. Go through yours to see what you can shred or recycle. You probably don’t need that phone bill from 2003. Have your kids help you go through toys and sports equipment to figure out what is still being used and what can be discarded, donated or handed down to a friend’s little ones. Get your porch in check as they can get cluttered quickly with gardening equipment that never got put away and muddy shoes that got left outside. Take stock of the porch and put items in their proper spots. Whenever you leave a room, take something with you. I try to never leave a room empty handed especially when traveling from floor to floor. But remember to only take what you can put away; it is better to just take a couple of things & put them away as opposed to taking an armload and dumping it in another place. Just moving your clutter from space to space isn’t helpful! Have a designated donation box where items can be put when you realize they are no longer needed or in use. This helps because as opposed to going thru a few times a year to pick out items you no longer need, you can get them out of the way as soon as you realize they aren’t needed anymore. Keep it in an area where it wont be in the way and when it is full, take it away. If it can be done in less than one minute, just do it! Seriously, it is amazing how much this helps out. File that piece of paper or put the dish directly in the dishwasher. Set up a realistic cleaning schedule that you can follow and one that works for YOUR family. I have looked at many of the cleaning schedules out there on the Internet and many of them are just impossible for me to keep up with. Personally I have a rotating cleaning list that I just check off as I go. When I get to the end, I start over again. Sometimes you need to think outside the box for your storage ideas. Do your kids put their pajamas on as soon as they come out of the bath? Why not store them right in the bathroom. 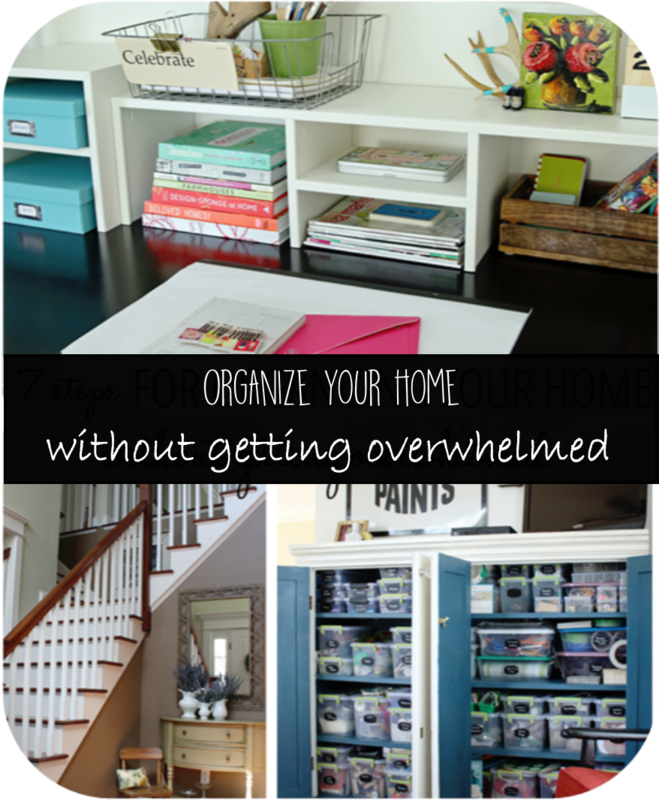 Do you have a craft room in the basement but often scrapbook on the kitchen table upstairs? 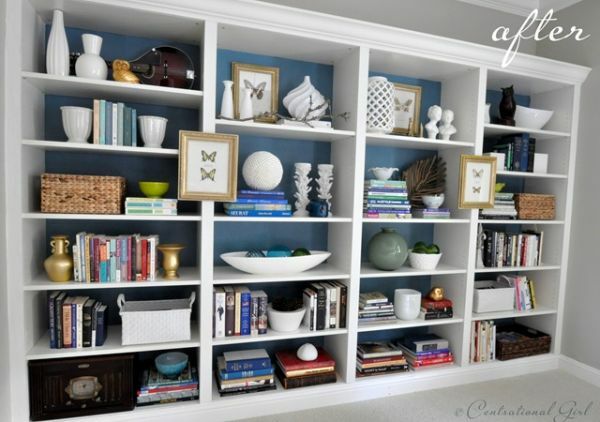 Create a small craft area with some basic supplies to store there as well. Now that you’ve gone through your house and properly stored things in their rightful places or gotten rid of them, check out your actual storage spots. If you’ve had boxes of books packed away for years, chances are that you don’t need them & won’t miss them. Making a plan that will work for your family and your needs makes it much more likely to follow.